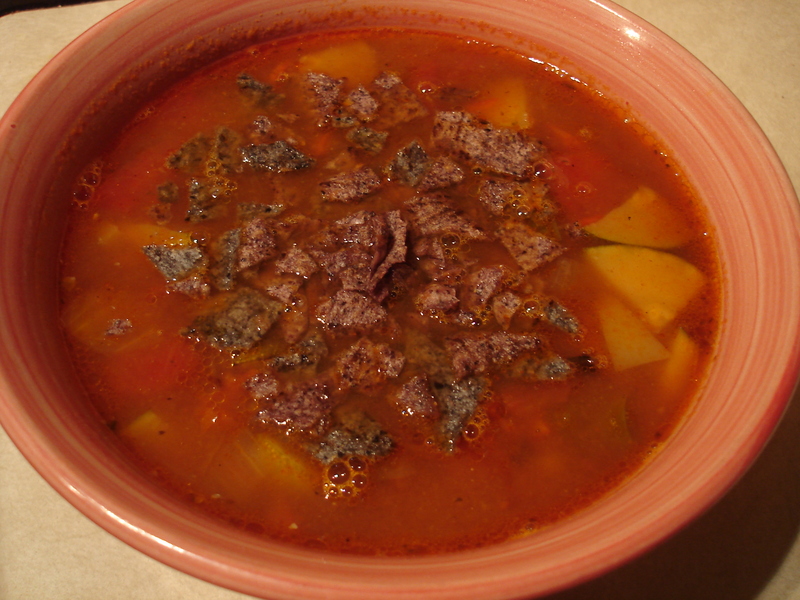 The weather is changing here in Colorado and we are coming into full blown soup season (my favorite)! So when my husband recently got back from a business trip and requested something “healthy and spicy,” I knew just what to make. Plus I had just harvested my late summer vegetables and had most of the ingredients from my garden. This soup is light but substantial enough for a meal when you are craving something to warm you up. And it freezes well so make a big batch of it and save some for another meal later. Chop all of the vegetables. 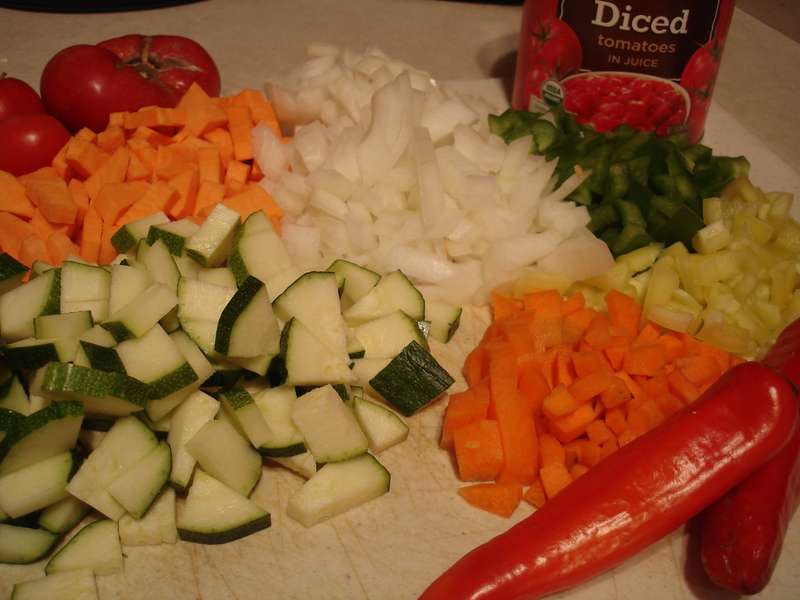 Add oil and vegetables to a large soup pot. Sautee on medium-high until slightly browned and then turn down to low-medium and continue to sautee until starting to carmelize. If the vegetables start to stick to the bottom of the pot, add a small amount of broth. Add crushed garlic, cumin, paprika and chile powder. Add broth and bring to a boil. Lower heat and continue to simmer until vegetables, including sweet potatoes are fork tender. Add shredded chicken (or beans) right before serving. Adjust salt and other seasonings as needed. Ladle into bowls and top with crushed tortilla chips, hot sauce and cheese, if desired.